Women United is an affinity group of the United Way of Douglas & Pope Counties. 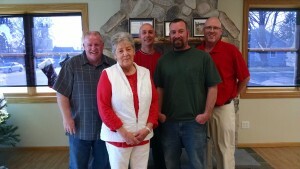 Their purpose is to in to mobilize women in Douglas and Pope Counties, by connecting women who care with causes that matter. Their mission is to help local children become educated, empowered and elevated. They do this by focusing on childhood literacy. 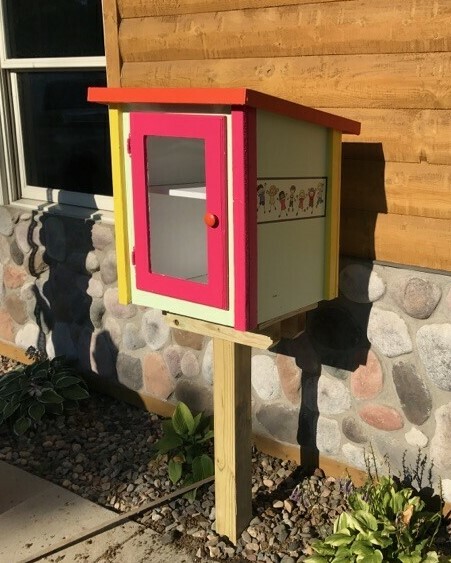 To increase children’s access to books in our communities the Women United Group invested in 6 registered Little Free Libraries. 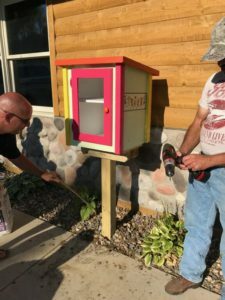 It was a community effort to make these Little Free Libraries a possibility with Hilltop Lumber donating and cutting materials needed for the libraries, AAHS students constructing and assembling the libraries, Women United painting/decorating and community members committing to maintaining and stocking them with children’s books. 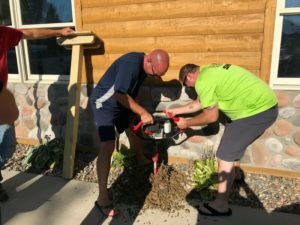 The second install took place on Monday, July 31st at the Garfield City Hall and Community Center, thanks to the Garfield Fire and Rescue! Make sure to stop by the Little Free Library with your kids to take a book; leave one if you can! Pay online or at the Garfield City Hall office with a credit/debit card. To pay online, just click on the “CLICK HERE to pay” tab. Garfield is in west central Minnesota’s Douglas County, an area rich in agriculture, recreation and tourism, business and beauty. It is located six miles west of Alexandria, a regional center for shopping and business activity. 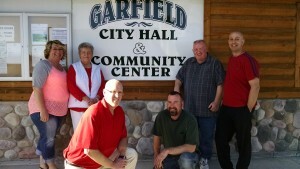 Garfield is full of wonderful opportunities and a great place to live, work, and play. Garfield’s estimated 2007 population is 304 and growing. The location provides people with the advantage of a great highway system, with Interstate 94 only four miles away. The transition of the Burlington Northern railway into an all-purpose recreation trail known as the Central Lakes Trail/Lake Wobegon Trail is also a terrific asset. The trail stretches from St. Joseph all the way to Fergus Falls. The City of Garfield constructed a trail shelter and parking area in 2004 to provide trail users with a place to rest. 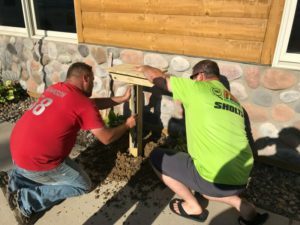 The city received local, county and state funding to make the trailhead project possible. 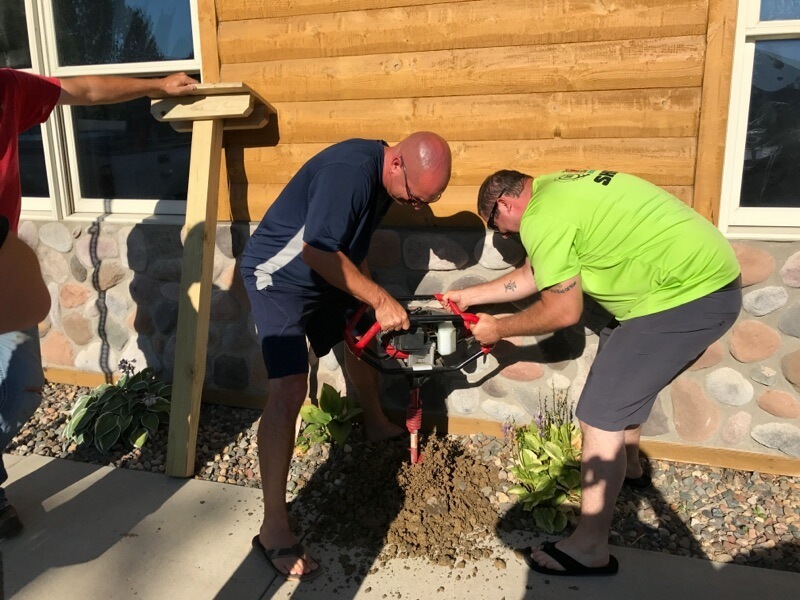 The completion of the shelter and trail paving offers recreational enthusiasts some beautiful scenery and a way to get some great exercise. Whether you are considering visiting the area or becoming a permanent resident, we welcome you to Garfield. 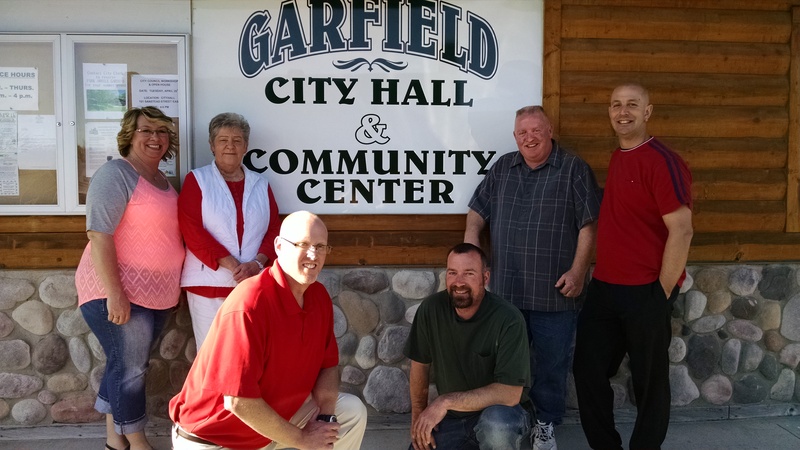 For more detailed information about what Garfield has to offer businesses and others, check out Garfield’s Community Profile. If you wish to file a Civil Rights program complaint of discrimination, complete the USDA Program Discrimination Complaint Form, found online at http://www.ascr.usda.gov/complaint_filing_cust.html, or at any USDA office, or call (866)632-9992 to request the form. You may also write a letter containing all of the information requested in the form. Send your completed complaint form or letter to us by mail at U.S. Department of Agriculture, Director, Office of Adjudication, 1400 Independence Avenue, S.W., Washington, D.C. 20250-941-, by fax (202)690-7442 or email at program.intake@usda.gov.